Let us suggest the perfect Stain for your exterior project. Need to stain your Deck , Fence or Siding? Click on any manufacturer logo to see what exterior stain products we carry. Ideal for pressure treated, cedar, and redwood. Excellent colour retention and durability. Excellent flow & levelling. Self priming on most substrates. Premium quality product with excellent resistance to blistering and peeling. Unsurpassed resistance to mildew growth on the stain film. Easy application with soap and water clean up. Available in any colour. Provides protection and colour without obscuring the grain or texture of the wood. The semi-solid opacity of this product makes it ideal for reducing colour variations in wood without completely obscuring the wood grain. Scuff resistant. Formulated to penetrate, protect, and beautify wooden decking and furniture. 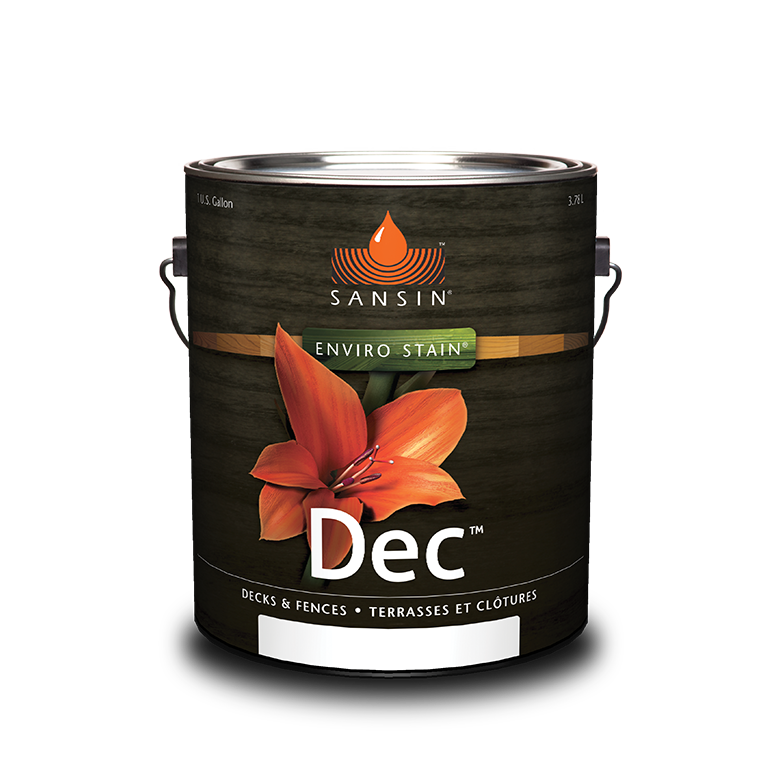 Provides mildew resistant coating. May be applied to new, pressure treated lumber. Ideal for softwoods like cedar and pine. A water repellent coating. Available in 75 colours. Provides protection and colour without obscuring the grain or texture of the wood. Added life and durability are given to the finish by UV blocking pigments ground in a weather tested vehicle. Formulated to penetrate, protect, and beautify wooden decking and furniture. Provides mildew resistant coating. A water repellent coating. May be applied to new, pressure treated lumber. Ideal for softwoods like cedar and pine. Scuff resistant. Available in 75 colours. Water-based. Penetrating silicone. Crosslinks with moisture in the air, resulting in a long-term sealant/treatment. Fast drying. Easy to apply. Resists dirt pick-up. Can be applied to new or restored wood surfaces. Contains transoxide pigments for protection against UV light. Provides protection and colour without completely obscuring the grain or texture of the wood. May be applied to new, pressure treated lumber. A water repellent coating. Formulated to penetrate, protect, and beautify wood decking, siding, fencing, shingles and furniture. Scuff resistant. Specially formulated to resist mildew growth on the stain film. Available in 75 colours. Provides protection and colour without obscuring the grain or texture of the wood. May be applied to new, pressure treated lumber. A water repellent coating. Formulated to penetrate, protect, and beautify wood decking, siding, fencing, shingles and furniture. Scuff resistant. Specially formulated to resist mildew growth on the stain film. Available in 75 colours. A waterborne alkyd deck & siding stain formulated for penetrating performance with easy water cleanup. Available in Solid, Semi- Transparent and Transluscent. Removes both latex and oil stains. Fast-acting formula. Removes clear finishes through solid colour stains. Concentrated formula. Restores old weathered wood. Bleach-free formula is gentle to wood and the environment. Not intended for removing old finishes. Use Benjamin Moore REMOVE Finish Remover (315) to remove old finishes. For restoring severely weathered wood. For maintenance cleaning, Benjamin Moore CLEAN Multi-Purpose Cleaner (318) is recommended. Ideal for removing moderate to severe mold and mildew. Concentrated formula. Removes tannin and rust stains. Breaks the "mill glaze" on new wood. Counteracts the darkening effect caused by the RESTORE (316) and REMOVE (315) products on tannin-bearing woods. Concentrated formula. Ideal for maintenance cleaning. Removes mold and mildew. Concentrated formula. High-performance penetrating finish for log homes. Highly water-repellent finish and maintenance coat. Penetrating one-coat finish for exterior wood. Exceptionally versatile protection for siding, logs, decks and fences. Beautiful, durable, highly water-repellent, breathable and UV-resistant. Enhanced protection in either clear or solid color. For additional protection, top coat with this clear base tinted to your project specifications. Enhances base coats with a more saturated, finish in either clear or solid color formulas. Penetrating two-coat protection for decks. Perfect for all kinds of wood – pressure-treated, cedar, pine and more. Easily applied, easily maintained, exceptionally beautiful. Won’t crack, peel or blister. Beautiful premium finish for any project, new or old. 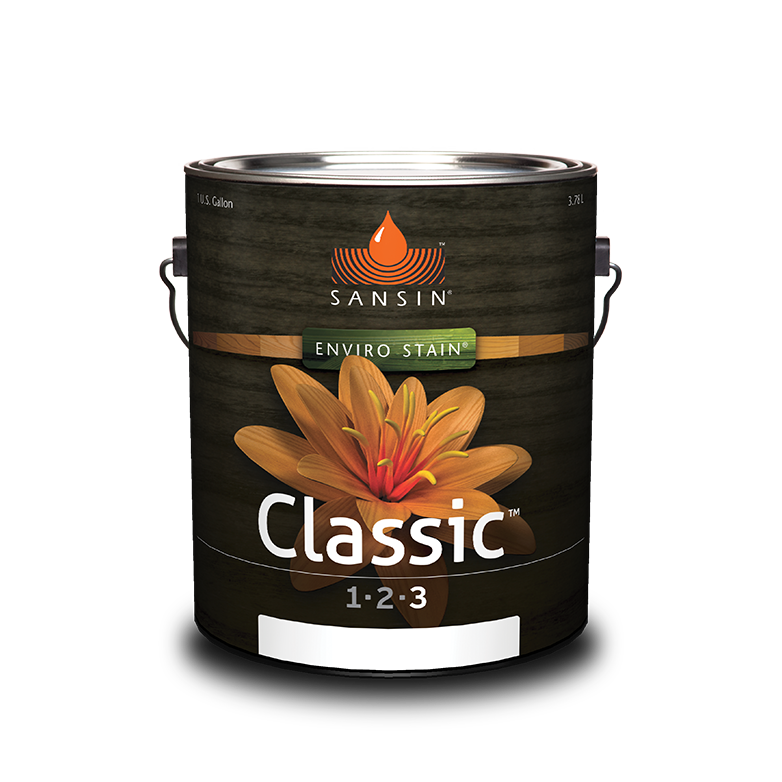 Enhances the beauty of almost any wood surface with an exceptionally tough, durable finish. Highly resistant to wear and UV – available in satin or gloss. A clear top-coat for natural wood tones. Engineered as a top-coat finish or as a long-lasting maintenance coat for Natural ENS base colors. Resistant to wear, highly UV stable and loaded with UV inhibitors to prevent discoloration. Invisible penetrating wood treatment that protects and stabilizes logs, timbers and laminated lumber. Dramatically improves top coat performance for clear or light wood tones; pre-treat or use on site. One coat protection for concrete and masonry. Water-repellant coating engineered to protect new and existing above-ground concrete and masonry from weather damage.